Here we have chicken stock simmered with kelp buds, a few Italian style anchovies in oil with a dash of Tsuyu sauce...to which is added sliced backyard squash (in this case, Serpent Gourd) and garden Daikon radishes,today's harvested garden greens( Okinawan Spinach), a big handful of domestic mung bean sprouts, a blob of last night's leftover rice (Trinidadian Pelau) and a dash of fermented chili paste and sesame seed oil. A stock made with water and chopped bottle anchovies works great. You can buy the large jars for just under $20 nowadays at some Italian or Greek green grocers and delicatessens.I used to buy dried anchovies at one but they are not so available. Great flavour: better than Korean dried anchovies -- and the Mediterranean bottled or dried will work out cheaper. Kelp buds are my seaweed fav. Easy to use and a great texture. Purchased like the Tsuyu in a Korean (or Asian) grocery store. Other enhances are everyday Fish sauce -- such as SQUID brand. It's a sort of 5 per day in one bowl. Greens + bean sprouts + root veg + Squash -- with all the thrills of kimchi. I could add kimchi to the cooking -- as that is common -- but heating will kill the lacto-bacillus. Add or do not add noodles or rice. I just use what's leftover -- but the sprouts are eaten like a crunchy noodle. Other possible additions: cabbage, sweet potato leaves, any exotic 'spinach' you can grow,Asian greens, moringa, katuk, carrots, a dash of lime, basil and mint leaves, onion rings,spring onion slices, ginger grated or sliced.... Garlic of course. Bits of meat or fish leftover or cooked in the broth. In Pho you use thin slices of beef and cook them quickly. In Hue, central Vietnam, they use any mix of meats. Elsewhere pre-cooked pork is added such as in Japan.Shellfish is always good. What I love doing is grating a lump of frozen coriander into the soup. I harvest the coriander -- the Mexican type -- and blend it up into a Caribbean green sauce. ; then freeze it in wee ziplock bags. This is hybridized to my preference, resources and taste.I'm a soup aficionado and not one for stir fries...nor one for salads. Here's what the jar of anchovies look like; you may want to rinse some of the salt off them before use. Soak any Mediterranean dry ones. The jars are useful to recycle. (a) Those who like anchovies. (b) Those handicapped and deprived folk who do not. 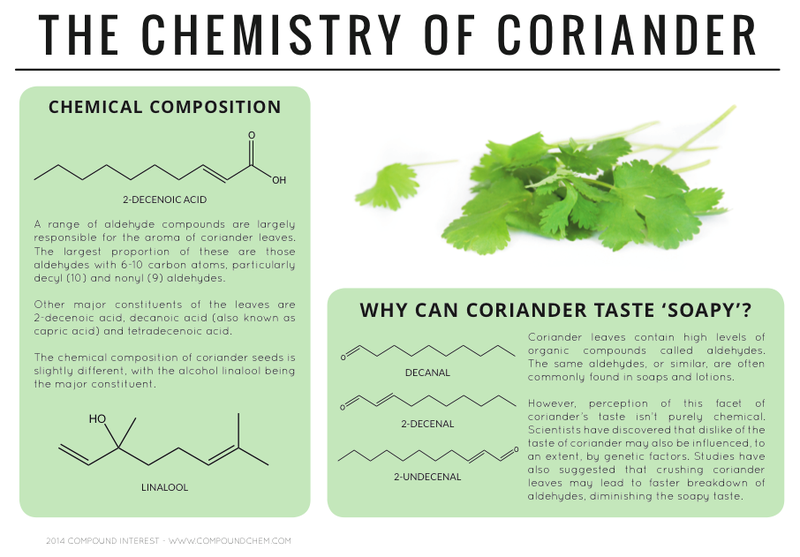 (a) Those who like coriander. (a) Those who like chili. To be burdened with two handicaps is a culinary crime against humanity. To be sentenced to all three seems like extreme poverty...and I commiserate on your loss. If you are desperate, another broth resource is Belacan -- fermented shrimp paste popular among Malays and Indonesians. Tasty ++ but boy! does it stink! If you have one of those open plan kitchens it will foul the whole house. So ,you see, my recent discovery of anchovies is a godsend. So easy and so manageable. Although anchovies emit an odour -- raw, salted, oiled, dried or cooked -- very few ingredients can match Belacan. for whiffy potency. Because of the strong smell, surströmming is ordinarily eaten outdoors...and you NEVER sit down wind from an opened can. Aversion to coriander is tragically partly genetic. So hatred may have some justification which excuses the haters: (But we others still pity them). I mean it. Get out of here. Coriander does bolt in warm weather. It grows well in cooler months. Try again later this year. I think that it was also to do with that I started the plants in a seeding tray then transplanted ......... I am not so sure they like that. No. Coriander notoriously hates to transplanted. It took me a few times (and some research)to rule on that. The Mexican stuff is a good alternative -- so long, I reckon, that you use all the plant and mince it. The leaves and stems are coarse and the heads are prickly. Harvesting can be ouch! prone. Thus the Caribbean green sauce. LINK. I suspect both prefer part shade. The Eryngium foetidum surely does. I suspect that the Thais use coriander root in their curries because of the bolting factor. But how so much of SE Asia can grow coriander in that heat is an enigma. Whereas the Caribbean is dedicated to Eryngium foetidum and uses it keenly. Warren at Caboolture Mkts sells Eryngium foetidum seedlings -- but laments about the struggle to get them going as he loses money on selling them (@$2). He has had whole batches of seeds that refused to sprout. And when they do they are SO SLOW to consolidate. I bought a lot of seed packets to keep me going as they can be fickle in the garden conditions. Hey, Dave good to know ...... I thought as much, I have shaken the seed heads of the last plantings so I am interested to see if any new seedlings pop up. I am not even sure what variety I put in so I don't know what characteristics are of the plant. It is Mexican coriander -- culantro, Eryngium foetidum. The first time I've grown it successfully and painfully from seeds.